You're so ready to be employed. You've spent hours polishing your resume. Now, you need a customer service cover letter. You need a cover letter for customer service that'll wake and shake the hiring manager. One that'll connect you to the interview like a direct line to the president. In a few minutes, you'll know how to write a customer service rep cover letter like that. How to write a customer service cover letter better than 9 out of 10 others. Customer service representative cover letter samples that get more interviews. Why our customer service cover letter examples will help you land the job. How to start and end a cover letter for customer service so it stands out. 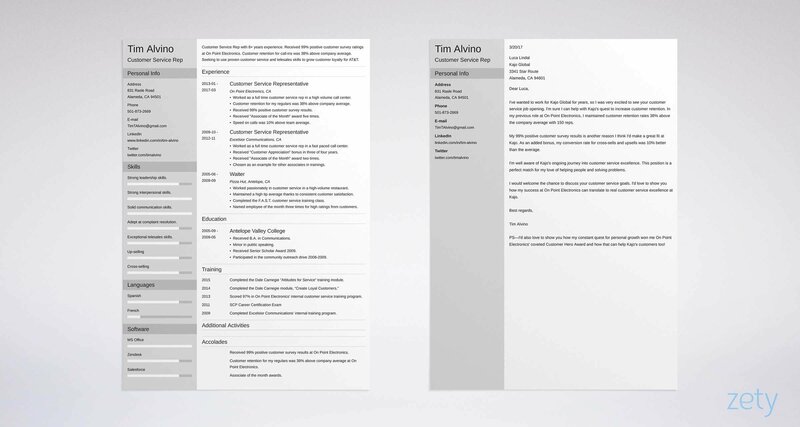 Here's a customer service cover letter sample and a matching resume. Customer Service Cover Letter for a Resume—See more cover letter templates and create your cover letter here. Now let me show you how to do that right in 8 easy steps. The Secret to Every Great Customer Service Cover Letter? I've wanted to work for Kajo Global for years, so I was very excited to see your customer service job opening. I'm sure I can help with Kajo's quest to increase customer retention. In my previous role at On Point Electronics, I maintained customer retention rates 38% above the company average with 150 reps.
My 99% positive customer survey results is another reason I think I'd make a great fit at Kajo. As an added bonus, my conversion rate for cross-sells and upsells was 10% better than the average. I'm well aware of Kajo's ongoing journey into customer service excellence. This position is a perfect match for my love of helping people and solving problems. I would welcome the chance to discuss your customer service goals. I'd love to show you how my success at On Point Electronics can translate to real customer service excellence at Kajo. PS—I'd also love to show you how my constant quest for personal growth won me On Point Electronics' coveted Customer Hero Award and how that can help Kajo's customers too! There's your job-winning customer service representative cover letter sample. Now let me show you why that sample cover letter for job applications in customer service works so well. You'll also learn to adapt it to any opening. Plus, I'll share 10+ customer service cover letter examples to customize your version. Even entry-level customer service cover letters need the right heading info. Use a professional email address. That means either Gmail or an address from your own website. Also, no HappyFunBob457@yahoo.com. Just use your first and last name. Don't use your work email. That's bad manners to your current employer, and it's a red flag to the new one. Pro Tip: In an entry-level customer service cover letter, cite transferable achievements. For example, if you were a bartender, you performed multiple customer service duties. Those will transfer to your new job. 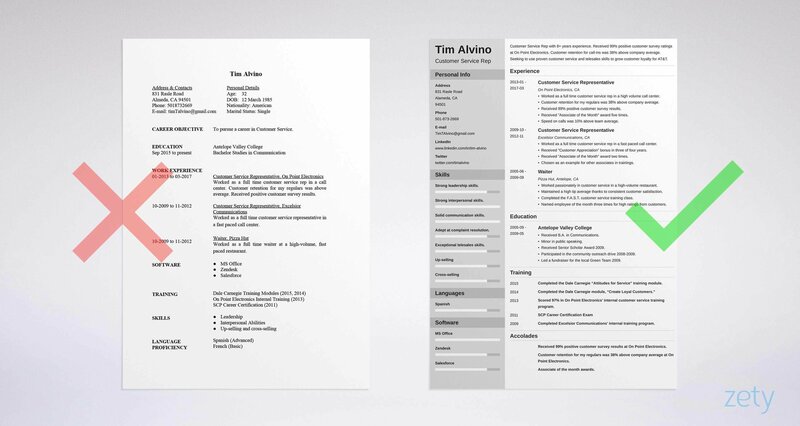 Customer Service Resume Example - See +20 resume templates and create your resume here. Who should you address your cover letter for customer service to? Answer: To the hiring manager. Why? Using her name will get her attention like a Salesforce notification. In fact, 84% of hiring managers reject applications that don't use their names. Absolutely can't find a name? Don't write a To Whom it May Concern customer support cover letter. Instead, use "Customer Service Hiring Team." That's as personal as possible when you don't know a name. Pro Tip: Don't use "Miss" or "Mrs." unless you're sure the hiring manager likes that. "Ms." works well regardless of marital status. That keeps your cover letter for customer service jobs faux-pas free. The first sentence of your customer service representative cover letter is crucial. That first sentence will get your letter read or trashed. Do it right, or you'll be shunned as surely as a robocall. I am writing to apply to your customer service job posting. I've enclosed my call center resume. As a customer service professional with 4+ years of experience, I think I'd make a great fit for this position. That's not as bad as a telemarketing call, but it's not great either. It basically says, "I've done this job and here's my resume." It'll put the hiring manager to sleep. I've wanted to work for Kajo Global for years, so I was very excited to see your customer service job opening. I'm sure I can help with your quest to increase customer retention. Why? Because in my previous role at On Point Electronics, I maintained customer retention rates 38% above the company average for 150 reps.
That customer service cover letter example is better than a Jabra headset. If you don't get the job, the hiring manager has troubles. Pro Tip: Not sure how to start your entry-level customer service cover letter? Cite a great achievement. Haven't got one? Talk about the employer's needs, or mention something you love about the company. You've got a new job and a whole new group of friends. Best of all, you've got a fat paycheck. By listing all your best qualifications in a cover letter for customer service? The last thing you want is to make a cover letter that's a mirror image of your resume. Hiring managers don't like that. Instead, show how you can help the manager. Check out the customer service cover letter examples below. They both target a job that needs good customer survey results, cross-selling, and upselling. My 99% positive customer survey results are another reason I think I'd make a great fit at Kajo. As an added bonus, my conversion rate for cross-sells and upsells was 10% better than the average. Wow. The hiring manager can feel her job getting easier already. Of course she'll read your resume with interest now. I've done a lot of customer service work. At On Point Electronics, I was responsible for outbound calls and handling inbound calls. I was in charge of a Zendesk terminal, and had to handle complaint resolution. I was also tasked with building customer loyalty. That's like a busy signal. It's got no measurements of how you performed at any of those tasks. Worse, it doesn't fit the job offer. Pro Tip: You don't have to be a customer service ninja to impress the hiring manager. Just spend a little time brainstorming your flashiest achievement. 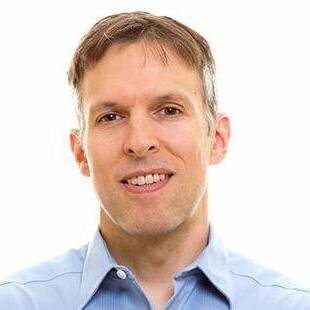 What's the #1 thing the hiring manager cares about? Whether you can help her meet her needs, right? The hiring manager doesn't just want a skilled customer service rep.
She wants an engaged one. One who's driven to work hard. One who'll stay at the company a long time. So, prove that in your cover letter for customer service representatives. Remind the manager how your experience can help. The two customer service cover letter samples below show how. That's better than a coupon for free merchandise. It shows you "get" the hiring manager. It also shows how you can be her hero. She'd have to be a little nutty not to hire you. That's not so with the next of our customer service cover letter examples. I'd really love to get this job. I think I'd be great at it, and I'll work very hard for you. Do you believe that applicant? The hiring manager won't. Without some kind of measurement, it's like saying you're a fast runner. Really? What races have you won? What's your time in the 100 meter dash? Your cover letter for customer service needs details. Pro Tip: How long should a cover letter be? Short cover letters are usually best. That means less than 300 words, and just three paragraphs. You've got a great customer service cover letter so far. It shows you understand the employer's needs. It proves how you can fill them. Now it has to make an offer, just like in a customer service cross-sell. I'd welcome the chance to discuss your customer service goals. I'd love to show you how my 99% customer satisfaction score from waiting tables at Cheesecake Factory can translate to customer service excellence at Kajo Global. That's not "Please give me a job." It's "Let me help." It shows innate customer service qualities. Let me know if you'd like to interview me. My contact information is at the top of this letter. Thank you for your time. What's wrong with that entry-level customer service cover letter example? For one, it's not customer service oriented. It asks for something, rather than offering something. Also, it's cliche. "Thank you for your time" is almost old enough to vote. Pro Tip: Not sure what to offer in your cover letter for customer service call centers? Look in the job ad to see if you can spot the greatest need. Failing that, Google "customer service KPIs." You'll find example measures you can offer to improve. It's easy to end a cover letter for customer service advisors, right? The problem is, it's also easy to do it wrong. After, add a line space, then your full name. Pro Tip: After you send your resume and cover letter for customer service, follow up! An email in a few days can put you top of mind, after the manager has forgotten about you and moved on. The best customer service cover letters will use all the tips and tricks above. But there's one more hack that can connect you to the job like a successful inbound call. PS draws the eye like a magnet. Put it after your closing, and the hiring manager is guaranteed to read it. Put a great achievement in it, even if it's not strictly relevant to the job description. The last of our customer service cover letter examples shows the way. Hey, that's cool! You won an award at your last job. That's a great PS in a cover letter for customer service. Why? Because even a hiring manager who only plans to glance at your letter can't help but read it and get curious. It'll hook the job like a trophy trout. What's the most important tips for how to write a great cover letter for customer service? Use the hiring manager's name. Show you understand her needs like a great customer service rep should. Even in an entry-level customer service cover letter, prove how you can meet those needs. Finally, explain why you want this customer service job. That way, your new employer will have faith that you'll work hard, and stick around. Do you have questions about how to make a good customer service cover letter? Want to share an example of a customer service cover letter that worked for you? Give us a shout in the comments and we’d be happy to reply! A sample entry-level cover letter with no experience that will get you a first job that rocks! Learn how to write a cover letter for a job without experience and fix your application. No matter the field, our first job cover letter template example will present you as the strong candidate you are. Got you *covered*, read on!